Long gone are the days of sitting cramped at a desk in the corner of the room or lounging on the sofa, controller in hand (although many of us still indulge in the latter!). More and more gamers are setting up dedicated spaces for gaming within their own homes. 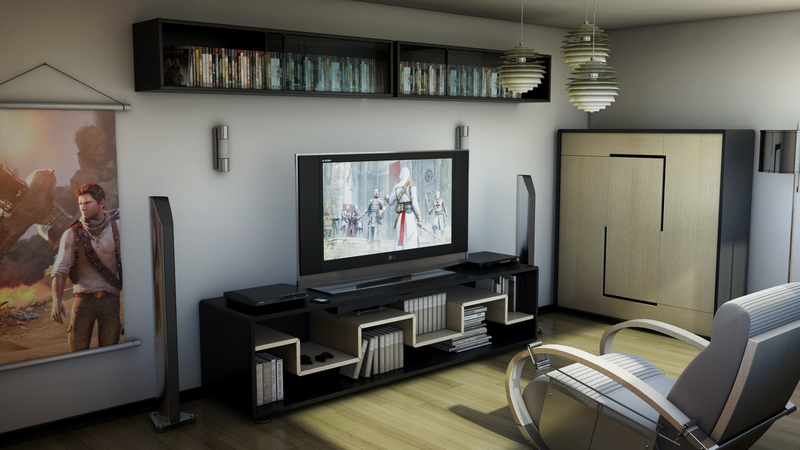 Here are some top tips to help you create the best space for gaming possible. A hobby like gaming quickly racks up a lot of gear and there has to be a place to put all of it. Luckily, flatpack furniture is cheap and easy to find. A big shelving unit is ideal for mounting your TV safely and keeping all the cables neat and out of the way. Bookcases or modular shelving units will also help you to display all your games and any decorations you wish to keep close by. You will spend most of your time in this thing, so you want it to be the best. It ideally wants to be comfortable for long periods of time and will have the exact lumbar support you need. Nowadays, you can get amazing chairs in all sorts of colors and materials. If you are designing a gaming space with a certain theme, you want to make sure that even the chairs are perfect for the theme. For inspiration, have a look at BestGamingChair.com to see all the latest chairs and find out which will be best for you. Any gamer with multiple consoles will know what a pain it is trying to keep all the controllers charged and ready to go. Investing in a charge station will allow you to plug in everything, from X-box controllers to Wii remotes, allowing you to rest easy as you know everything will always be charged. Sound quality can make or break a game. While many players choose to wear headphones, those who don’t can create an immersive experience for themselves through the use of speakers. Invest in some high-quality speakers which can handle surround sound environments and prepare to be amazed at your gaming experience significantly improves. If you are worried about your housemates overhearing loud sessions, or you live in an apartment block where you don’t want to disturb your neighbors, consider looking into sound-proofing. It will allow you to game as you wish without disturbing those around you. Gaming spaces aren’t just for playing. Nowadays you can find all sorts of home décor items that will thrill your inner nerd. Hang up that map of Tamriel and buy that Tetris lamp. A gaming room is a great opportunity to throw out some nods to your favorite series. If you want to go all out, consider theming the entire room around your favorite game. There is so much you can do décor-wise to create a unique space for you to enjoy. You’ll be spending so much time in there anyway, you may as well make it a great place to be.